IBA (Ion Beam Applications SA), the world’s leading provider of proton therapy solutions for the treatment of cancer, today announced that Miami Cancer Institute treated its first patient on IBA’s Proteus®PLUS, the industry’s most advanced proton therapy system. As would be expected, these initial patients are children with cancer, underscoring Miami Cancer Institute’s commitment to utilize the technology for the most deserving patients. Miami Cancer Institute is equipped with the most comprehensive suite of advanced radiotherapy equipment highlighted by the state-of-the-art Proteus®PLUS proton therapy solution equipped with a three-gantry, beam matched configuration using the latest in proton therapy including pencil beam scanning, CBCT image guidance, robotic patient table, and enhanced workflow. The proton therapy center will be the first in South Florida with extensive reach to the Caribbean, Latin America and beyond. The $430 million Institute also provides a world-class array of advanced radiation therapy treatment options including Gamma Knife radiosurgery, CyberKnife stereotactic radiation therapy, tomotherapy and volumetric modulated arc therapy (VMAT), brachytherapy, MR guided linac-radiation therapy, GRID therapy, and radioisotope therapy. Miami Cancer Institute is one of the only cancer centers in the world to offer all of the latest radiation therapy modalities under one roof. Beth Klein, President IBA North America stated “We are extremely proud to announce that Miami Cancer Institute successfully treated its first patient, bringing this powerful, life changing technology to its patient community. 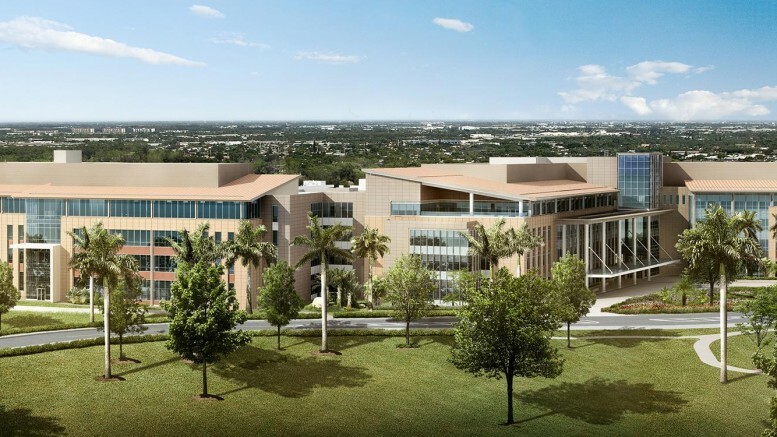 We welcome the Miami Cancer Institute team to the select group of prestigious institutions that offer proton therapy as a part of their advanced treatment options for cancer patients and look forward to collaborating with them on expanding the use of Proton therapy for more cancers.